Well built for a low price point. Toy melee weapons: they’re seen more often in LARP (Live Action Role Play) settings than in Nerf wars, and aren’t usually an effective tool. Nevertheless, they make for a fun addition to wars, and they are sometimes useful. So, while not strictly blaster-related, it’s worth taking a look at one of the latest entries in the melee category to see how it compares to the toy weapons we’re used to seeing. Hasbro has had this portion of the market largely to themselves. 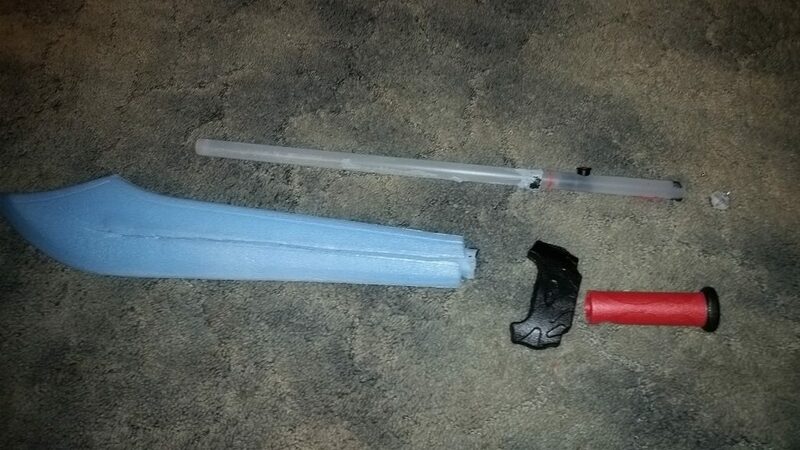 Star Wars brought us lightsabers (some new versions are now composed of foam). Nerf brought swords and shields with N-Force. More recently, Hasbro has partnered with Perpetual Play Group for various Nerf melee and throwing toys. Buzz Bee Toys, however, has been improving their offerings in the Ruff Stuff product line. 2013 brought us the Gladiator and Buccaneer swords. Last year brought us items like the Fun Sword. 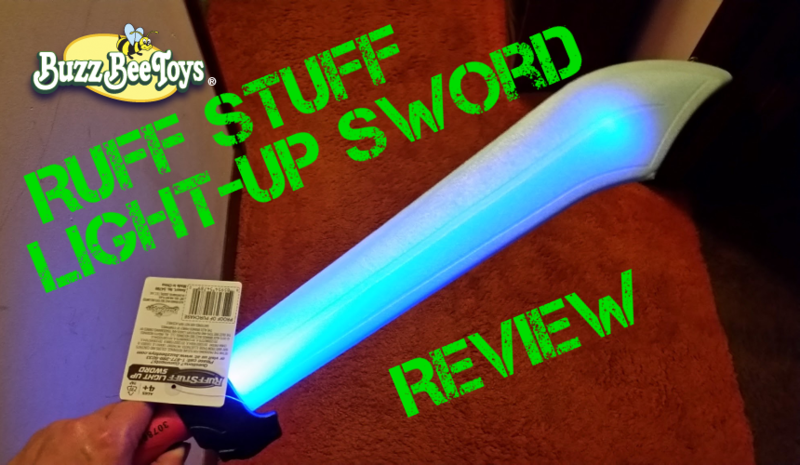 And this year, Buzz Bee has upgraded the Fun Swords with light-up blades, with a low price point of only $5. The swords come in several varieties (short sword, falchion, katana), but all the new swords share a few things. First, they have a hard plastic tube at their core, encased in fairly stiff foam. Second, they have a red button on their handles. 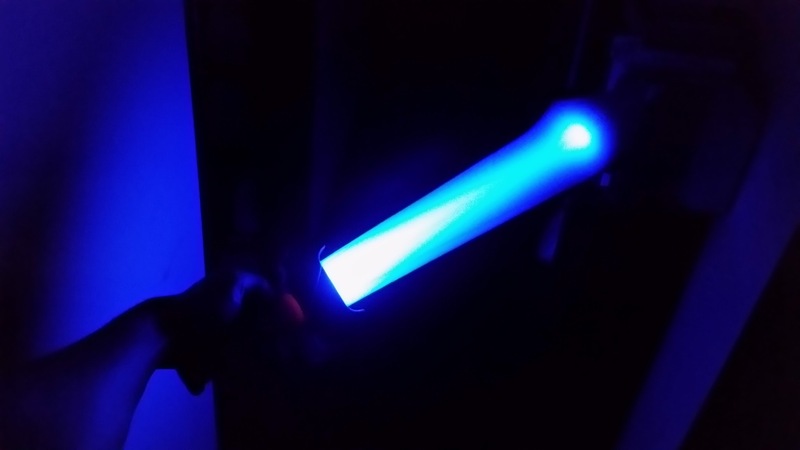 Finally, they have brightly colored blades that diffuse the blue or red light inside for the glowing effect. If you’re familiar with the N-Force swords, then we can make an easy comparison. The length is close to that of the individual Vendettas, and a few inches less than the other short swords. In width, however, the larger Buzz Bee swords are close to the Marauder. As I have not yet used these at any kind of war, I instead abused the blades by hitting them against walls and other objects repeatedly. In addition, I had a few people hit me with them. 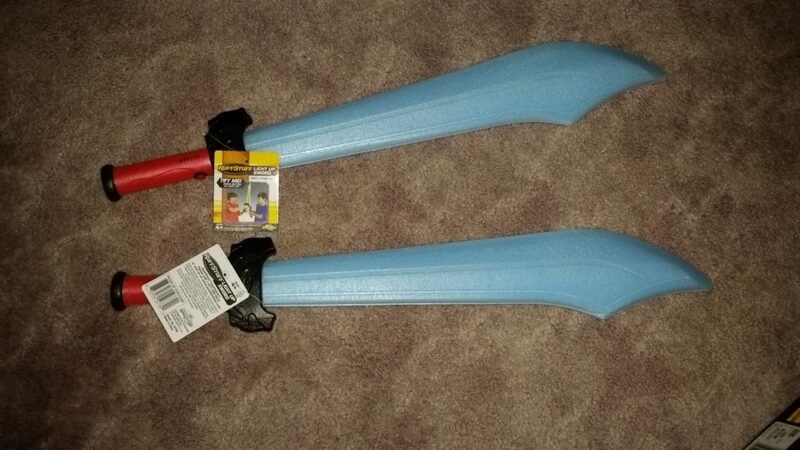 So far , the swords have very little visible damage, and the foam has enough give to prevent any kind of injury. 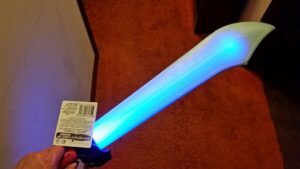 The glowing effect works very well, although that assumes the kids at Walmart haven’t played with the sword in the aisle so much that the batteries have run dry. Even in daytime, you can see the light reasonably well. In the dark, however, the swords are REALLY bright. I can’t wait to see how these look the next time I’m at an indoor, evening war. One sword did get sacrificed for science, although it can be put back together easily. I simply took a razor blade to the length of the handle, removed the foam grip and guard, and then worked the rest of the plastic tube out of the blade. 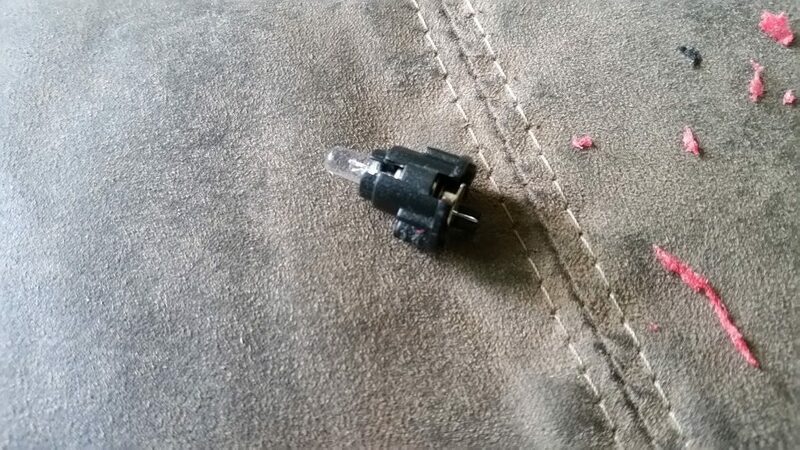 After that, I cut the tube apart just above the electrical components. Three, LR41 button cells in series power the LED. If you remove the tube plug at the bottom of the grip (where you see the Buzz Bee logo), you can actually see two screws that hold the batteries and LED in place. If you’re willing to put up with the frustration of working in tight spaces, you can certainly manage to replace the batteries. For only $5, this is a surprisingly robust melee toy. Even if you don’t care about the light, this Buzz Bee offering is a far better than any Nerf/Perpetual Play items currently on shelves. It’s stiff and soft in all the right places, and it has a handle large enough to accommodate your hand. This has my stamp of approval. This entry was posted in Accessories, Just For Fun, Reviews and tagged buzz bee, melee, Sword on August 12, 2016 by BuffdaddyNerf.